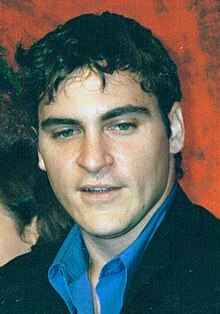 Joaquin Rafael Phoenix (born October 28, 1974) is an actor, music video director, producer, musician, and social activist. Animal rights is a part of my everyday life. When you live by example, you create a certain level of awareness. Friends of mine, people I have never discussed vegetarianism with, are adopting vegetarian habits because they see it. "Fake leather please!". Interview for Daily News and Analysis. November 14, 2006. This page was last edited on 9 October 2018, at 08:51.